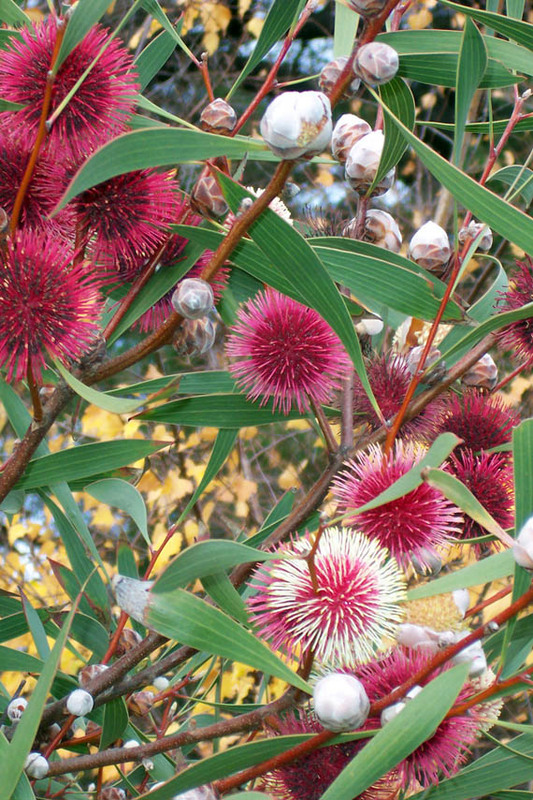 The hakea is flowering! 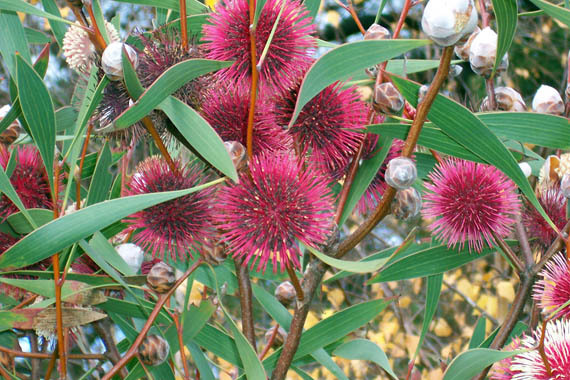 When I planted it I was told it wouldn’t grow in Fentonbury cause of the cold. Or, if it did grow, it surely wouldn’t flower. Spectacular isn’t it? Its been a really busy week even though we’ve had a week from work. I can’t explain it. Its just been flat out. 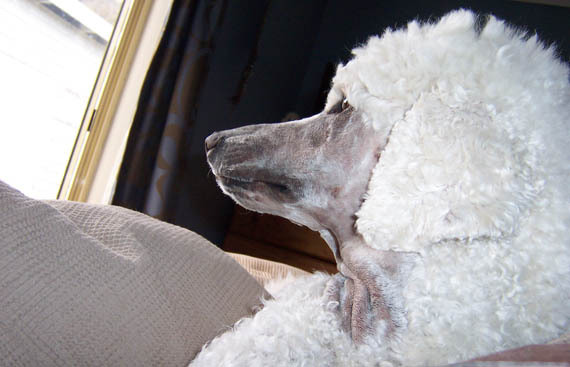 I seem to have been out for one thing or another almost every single day, grooming dogs which were either pre-booked or spur of the moment bookings. Looking after animals and Wayne and the house of course. Somehow, through all that, I managed to do a bit of my own creative stuff so I have a few small projects to share over the next few days when I get a chance to photograph them. This is where I ask your opinion, oh my few friends and readers, what should I do with the stuff I’m making? Should I sell it on etsy.com or should I try to sell it locally through a shop in town? Ok, keeping everything is out of the question. There’s only so much room in our home and I’m actually thinking of what I can get rid of to streamline our lives somewhat. Some stuff I am tempted to keep and some of it I’m sure I’ll end up keeping cause I won’t be able to part with it. However, a lot of the items I’ve been working on were made with selling in mind. When I make something for a specific purpose for our home, that’s when I’ll keep it. I’ve been collecting stuff from tip shops and wherever for a while now with the plan to use them to create stuff for our home and to sell. Some of the bits and pieces I’ve collected will be hard for me to part with, but part with them I must. I already have an etsy shop which I plan to update and revamp – not a big deal given I’ve never really used it! 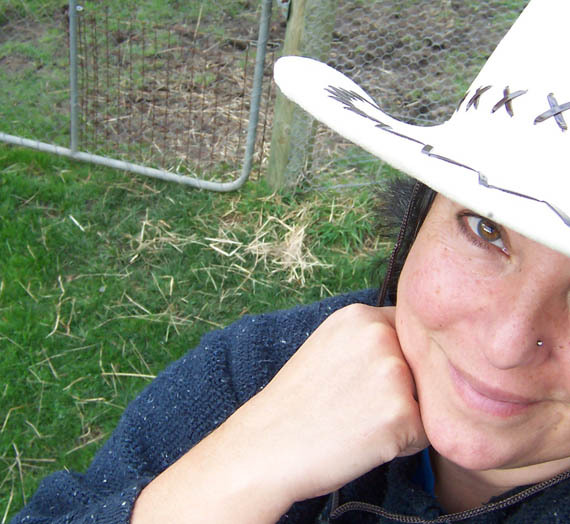 Meanwhile, I just thought I’d give you a quick update at how things are at Wind Dancer Farm. Wayne is better. Well, he was better till last night. I think he was so much better compared to how he had been that he overdid it and is now back to being really sore. The antibiotics for his chest seem to have done a great job and he feels a lot better for them. Here’s to avoiding pneumonia! However he’s back to not being comfortable in any position and pacing. sigh. Yesterday morning we did something we rarely do any more. Used to be (back when Wayne was trying to win me over) we’d lie in bed with the dogs in the morning and just ‘be’. I love that time. Since we moved in together and the bank has tied us together, Wayne has felt secure enough to banish the poodles from the bedroom. 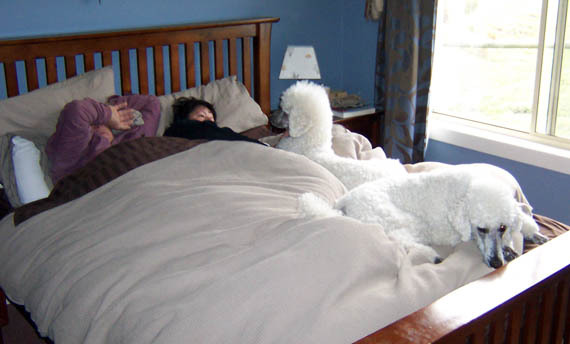 Interesting… notice how the poodles are on MY side of the bed? But yesterday morning while he was bringing coffee in bed I let Montana and Romeo in and they joined us on the bed. I can’t even begin to express how much I love having them on the bed with us. Cosy. Warm. Secure. Its like everything I love is right there with me. We’ve also been social this last week. I picked Merrill up from the airport and we had a lovely lunch at a swish restaurant in Salamanca. I visited Ginny and Richard and the lovely Harvey and got to meet his new girlfriend, Tess the kelpie. We were invited to a BBQ at a friend’s house down the road and I scored a leather cowboy hat out of that. 🙂 Chris came up to visit and has been staying over the last few days. Yesterday I made gluhwein (Ginny and Richard were doing Christmas in June, so why not join in?) and Merrill came over and we ate cheese and crackers and watched dvds and laughed loads. In fact, maybe that’s why Wayne is sore again. Too much laughing over the last few days. Chris has a new nickname for Wayne. Over the years Chris has had a growing list of names for Wayne, but this time I think he hit on one that even Wayne had to admit was a gem. Its cause he’s like corrosion: he slowly eats through everything. You gotta admit, as far as nicknames go, this one’s a keeper! This entry was posted in Dogs, family, garden, life on the farm by zefiart. Bookmark the permalink.